Prior to April 1, 2016, GM 1500 trucks had either cast steel or aluminum control arms. 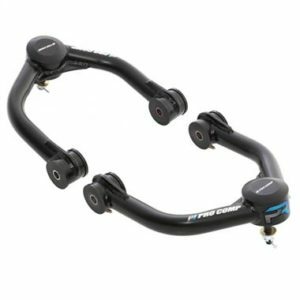 Trucks manufactured on or after April 1 feature stamped steel upper and lower control arms. 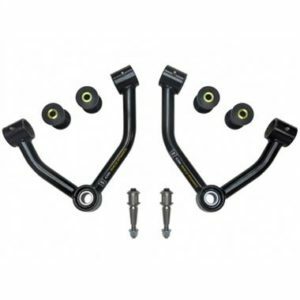 Pro Comp’s new 4-inch (K1173B) and 6-inch (K1171B) kits will work on GM 1500s with aluminum or stamped steel control arms. 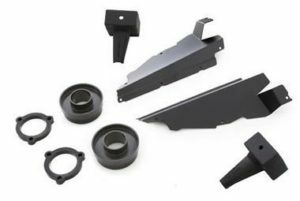 If you have inventory of the previously-released Pro Comp OE aluminum application 6-inch (K1165B) or 4-inch (K1159B) kits, you can add the new Sway Bar bracket kit (90-60616B) that will allow you to use them on the new truck with the stamped steel control arms. 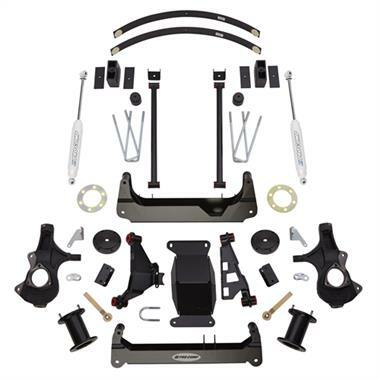 2014+ GM 1500 trucks with cast steel control arms can continue to use Pro Comp’s 6-inch (K1164B) or 4-inch (K1158B) kits.